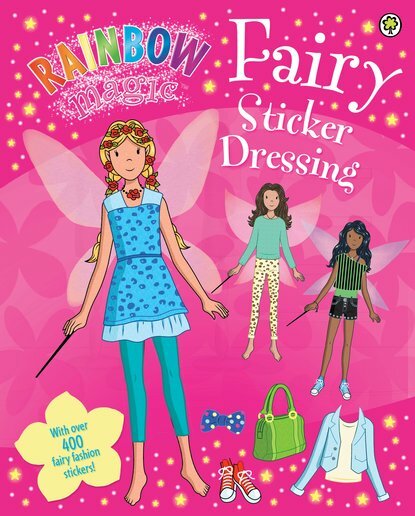 Give your favourite fairies a magical makeover! You don’t need a brand new wardrobe. You only need this book. 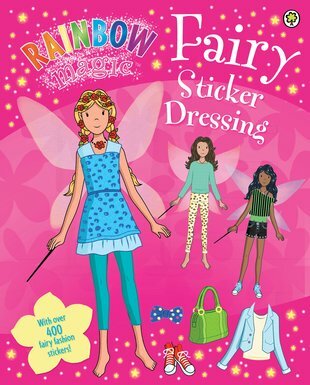 It is a fairy wardrobe – with over 400 stickers that double up as pretty fairy outfits. Who should you start with? Kate the Royal Wedding Fairy, Ruby the Red Fairy or Vanessa the Dance Steps Fairy? Choose the perfect stickers to make them look fabulous! PS: the Fashion Fairies are also right here, sharing their cool styling tips!